Edward Lee Elmore, South Carolina’s longest-serving death row inmate, was spared from execution when a state circuit court ruled he suffered from mental retardation. The sentence reversal came almost 28 years after Elmore was sent to death row in 1982 for a sexual assault and murder, and 8 years after the U.S. Supreme Court held in Atkins v. Virginia that the execution of the mentally retarded is a cruel and unusual punishment, and therefore violates the Eighth Amendment. The decision left defining “mentally retarded” to individual states. Elmore failed and repeated first grade twice, failed and completed second grade once, and did not finish third grade until he was 12. He then withdrew from fifth grade when he was 15. In 1971, at age 12, Elmore's IQ tested at 72 and 58 on separate tests. 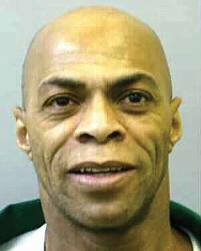 (C. Peters, "Judge spares longest-serving death row inmate," Spartanburg Herald Journal, February 5, 2010). See also Mental Retardation and Time on Death Row.